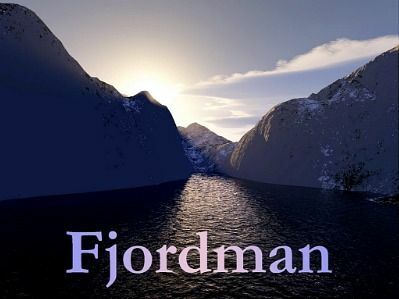 FJORDMAN’S THOUGHTS ON THE UPCOMING TRIAL OF BEHRING BREIVIK……… – The Tundra Tabloids……. I also fear that the scenario I’ve just described would suit Breivik just fine. Whatever ideological reasons might exist for these evil acts in his twisted mind are probably quite secondary. All indications are that the primary reason why he did what he did was that ABB is an extreme narcissist with no conscience who thrives on any kind of personal attention. Anders Behring Breivik essentially viewed his terror attacks and the ensuing trial as one giant reality TV show centered around himself, and he now seems to be getting exactly what he wanted. Those who follow the news probably know that the trial of the terrorist and mass murderer Anders Behring Breivik is fast approaching. It will begin on April 16 and last until late June. If he or his counsel appeals and there is a retrial, it has already been decided that the second trial in a higher court will begin in January 2013 and will last for some weeks. The original psychiatric review of Breivik was made by the court-appointed psychiatrists Torgeir Husby and Synne Sørheim in the autumn of 2011. They concluded that ABB is criminally insane and suffers from paranoid schizophrenia. This triggered a massive outcry, especially from members of the left-wing press, who claim that Breivik is part of a vast and dangerous movement of violent right-wing extremists. They have been conducting a campaign of character assassination against Husby and Sørheim ever since. The court in Oslo finally gave in to media pressure and appointed a second team of psychiatrists, who are expected to publish their conclusions on April 10, just days before the trial begins. The original report by Husby and Sørheim was confidential, yet almost all of it was later published online by the national Norwegian newspaper VG. At Document.no, one of Norway’s leading independent websites, writer Christian Skaug has translated this original forensic psychiatric statement into English for the benefit of non-Scandinavian readers. Norway used to be a quiet place. The atrocities committed by Breivik constitute the biggest news story to appear in that country since the Second World War. Nearly 500 journalists are scheduled to follow the trial. Several hundred of these represent the international press, from the BBC and CNN to Russian, German and Japanese newspapers. The list of witnesses is slowly becoming clear, although a few details are still uncertain. It seems likely that I will be called upon to give testimony, too. In general, according to Norwegian law you are legally obliged to do so if the court asks you to do so. I have told the press that I can testify if we can find some practical way of arranging this. The political establishment in my country of birth want to put as much pressure as possible on dissidents of any kind. They will shamelessly exploit this case for that end, and I am Public Enemy Number Two (after ABB). Several observers want to blame me personally for mass murder for allegedly being Breivik’s “mentor,” although I’ve never once met him. The other witnesses include survivors from the terror attacks and members of the police, the Islamic terrorist supporter Mullah Krekar, the former leader of the Progress Party Carl I. Hagen, one well-known neo-Nazi as well as some self-appointed experts on “right-wing extremism.” The witness list keeps expanding and growing more bizarre. The trial unfortunately looks set to become a circus — Circus Breivik. I deeply regret this development. We should remember that this is first and foremost about his 77 murdered victims, as well as the families and friends of those victims, who will never see their loved ones again. In addition to them are those who were physically or mentally wounded, plus the many other survivors. Breivik traumatized an entire nation with his atrocities, and I fear that this trial could make matters worse rather than heal wounds. I have been mixed up in this case very much against my will. If I have to testify, this will probably happen at some point in June. Over the next few months, most of my time and mental energy will be dedicated to the trial and the Breivik case or issues closely related to these events, such as the media coverage of the trial. I apologize to long-term readers for this unfortunate circumstance. I hope to get back to writing about a variety of issues, as I have always done, as soon as possible, but I doubt this will happen until next autumn. I hope you understand my situation. I have repeatedly been asked whether I am writing a book about my experience of the Breivik case and its aftermath. The answer is that I am seriously considering such an option and already have some material, but nothing has been formalized yet. If I do write such a book it will be written in English first and then translated into other languages. I have begun an assessment at the Gates of Vienna blog of whether or not Breivik is insane. I cannot provide a definitive answer to this question since I have never met him, but I will try to evaluate the publicly available evidence — including the second forensic psychiatric statement when its conclusions have been announced — to the best of my abilities and as objectively as possible. I am currently in the final stages of reading through and analyzing Breivik’s so-called manifesto and will continue my assessment when this is done. Previous Post Previous Post CHRISTIANS FLEEING TIMBUKTU AFTER HEARING SHARIA INSTALLED BY ISLAMIC FUNDAMENTALISTS……..
Next Post Next Post ANDREW BOSTOM’S ANTI-SEMITISM IN ISLAMIC TEXTS SERIES CONTINUES…….